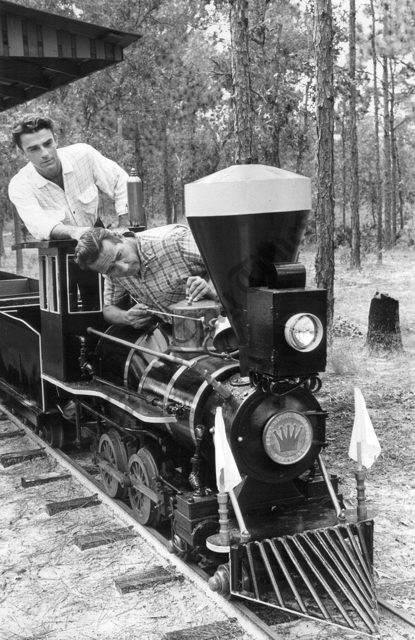 .A miniature train will wind through the frontier city. Frank Fetter man left, will be the engineer. All timber in the city was cut by hand.